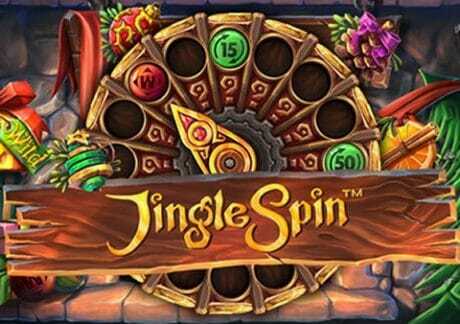 Net Entertainment have just released the Jingle Spin video slot – read about the game and find out how to get up to 200 exclusive free spins. Jingle Spin is a 5 reel, 20 payline title that takes you on a trip to Lapland as you join Santa on his elves – playable from 20p a spin on all devices, you are immersed in Santa’s workshop where you’ll see baubles appearing above the reels. If a wild symbol appears beneath 1 of the 4 baubles, you’ll trigger the corresponding bonus feature – you can benefit from the Spreading Wild feature where a moving wild replaces all symbols in its path. There’s a Coin Win feature where the bauble can reward you with a cash prize of up to 125 times your total bet. The best is the Free Spins feature with the bauble giving you up to 50 free spins – once in, more baubles can appear to give you additional free spins, spreading wilds and cash bonuses. There’s also a Surprise feature which triggers 1 of the other 3 features. 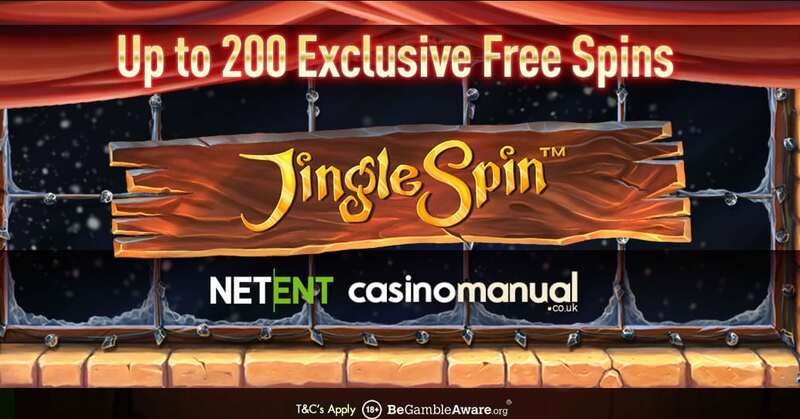 I recommend you play Jungle Spin at NetBet Casino – sign up and make your first deposit using the code EXCLUSIVE1 to get a 100% match bonus up to £200 plus 25 free spins to use on any NetEnt video slot. This includes Jingle Spin or the TV series-inspired Vikings. On your second deposit, use the code EXCLUSIVE2 to get 75 more free spins. Finally, use the code EXCLUSIVE3 on your third deposit to get 100 free spins. That’s 200 free spins in total which can be used on any NetEnt game!